Sandia National Laboratories is the largest U.S. Department of Energy national lab with over 12,000 employees. It has a major role in supporting inverter development and testing protocols for standards organizations and distributed energy research (DER) vendors. Jay Johnson, a principal member of technical Staff at Sandia, leads several renewable energy research projects in the U.S., Europe, and Asia. 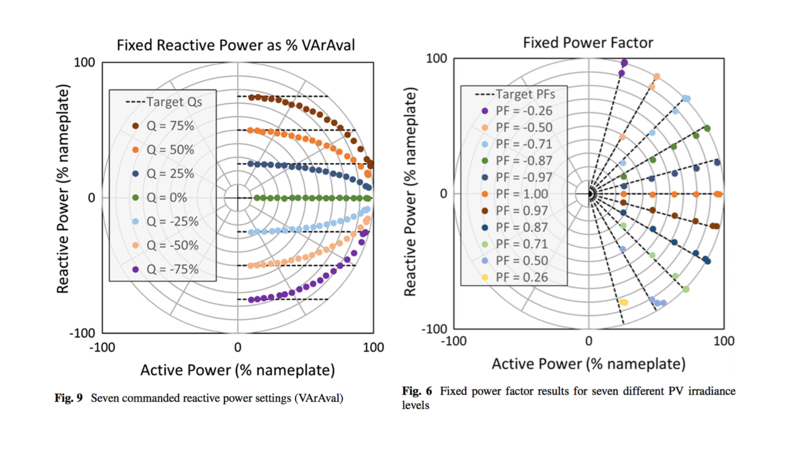 He talks about his research paper, “Design and Evaluation of SunSpec-Compliant Smart Grid Controller,” and why Controller Hardware-in-the-Loop (CHIL) is a novel approach. What major challenges do DER vendors face when developing and testing inverters? As we move to these extremely large inverters, a megawatt-scale and up, it becomes increasingly difficult to find testing laboratories with the capabilities to run those experiments. And it is quite expensive to run those experiments. So you reach a point where it may make more sense to conduct the experiments, not on a full-scale voltage and current levels but using a Controller Hardware-in-the-Loop system. What was the goal of your research paper on a SunSpec-Compliant Smart Grid Controller with an automated Hardware-in-the-Loop testbed? There's a large revision to IEEE 1547 going on right now—that should be published in 2018–It requires DER vendors to include a number of different advanced inverter functions. This paper is about performing certification tests or running through a test sequence of different experiments to verify and validate that the inverter is compliant with the requirements. For instance, we looked at the Volt-Var function, Frequency-Watt function, and Fixed Power Factor. These functions are useful to grid operators to provide you their voltage or frequency regulation on the system. Why did you use a Controller Hardware-in-the-Loop (C-HIL) system to run these experiments? The Controller Hardware-in-the-Loop system is fairly unique because we can run the experiments prior to full deployment of the DER technology. So instead of taking an inverter and running the experiments with a grid simulator, a PV simulator, and data acquisition system, we can take the computer's brain and plug that into a Controller Hardware-in-the-Loop system. Much like the Typhoon HIL system. Why is it important to automate these test sequences for grid code compliance? This is important because in the UL 1741 certification procedures, there are hundreds of measurements. We can run those tests using an automated test script so we can adjust the voltage to 15 different levels to map out the required Volt-Var curves through multiple iterations. Doing this by hand would be extremely difficult because there are thousand different data points the test engineer must collect for the Volt-Var test sequence in UL 1741 SA (based on CA Rule 21). "By hand, this would take somewhere on the order of a week to run. With the CHIL platform, we were able to complete it in a couple of hours." With a single click of a button, you can walk away, come back, and have your results as opposed to spending a week painstakingly adjusting each of the voltage settings and then taking the measurement. How were you able to automate these test sequences in your laboratory set up? Right, so the interesting thing that we've been doing here is we're integrating the DC side, AC side, and the data acquisition system within the C-HIL system to a third-party software platform. That's the System Validation Platform (SVP) by SunSpec. And by interfacing this platform using the Typhoon API which is a pretty nice now they've moved to a nice standalone Python package, we are able to automate that test sequence. How long does it take to setup the SVP-CHIL platform compared to a full power laboratory? I can provide some estimates for this: I know that it's taken National Laboratories around the world twelve to eighteen months to build power testing laboratories. "The Controller Hardware-in-the loop would be much quicker than installing the power equipment it takes to build up the laboratory." We're talking about hundreds of thousands of dollars to buy all this equipment. Whereas using a Controller Hardware-in-the-Loop system would be relatively straightforward and take about a month to set up. 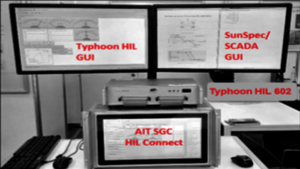 How does a C-HIL testbed help DER vendors accelerate the development stage of their inverter controllers? It's a very convenient and easy way to rapidly make changes to inverter software because when you're working with the power stage, bugs could potentially damage the equipment. Whereas early in the process, if you're using Controller Hardware-in-the Loop, you're not actually having high currents or voltages. And so you're not going to risk damage to your equipment. So for instance in our experiments, we were working with the Austrian Institute of Technology (AIT). They had developed the inverter controller and we would run test sequences for some of these advanced grid functions. As problems emerged, we were able to inform AIT of those issues and they could make changes to the firmware. So would you say that this C-HIL platform is very important in the firmware design stage of inverter controllers? Absolutely. But there are all these tests that need to be performed later down the development stage. "So if we run the test sequences at the first stage of the design process, as opposed to the very end, we can catch mistakes that exist in that controller prior to going through all this development." So essentially we're shortening that design loop. It's much better in terms of timeline and costs associated with development. The benefit to DER vendors is creating a system that is designed to discover errors and problems prior to moving through the end of the design stage. Can you give a specific example on how you've corrected a firmware design mistake using this platform? In one particular experiment, we were using a Modbus server to represent the SunSpec Modbus map. You can also see issues associated with implementation for these advanced grid functions. If you update the settings inside the SunSpec register map and they are passed to the inverter, you can see them in the communication server but they don't actually take effect in the inverter. "Vendors need to verify the power module is actually doing what the communication microprocessor claims it's doing." How accurate are these simulation results? In general, the accuracy of these systems is quite good. There are certainly some specific tolerances associated with each of analog signals going to the Controller Hardware-in-the-Loop. But I think that those are fairly accurate. It's more a question of how well the DC and AC side of the inverter are modeled. What do you think are the greatest benefits of using a C-HIL testbed for DER vendors? Well, I think there’s a multi-pronged benefit here. The first part is you're actually working on developing the basic control functionality and so it will help a lot with that. DER vendors can very quickly iterate on tuning these different functions, get results in near real-time, and re-update the firmware, as necessary, to recheck the results. They can also check whether or not the device will pass the certification test prior to deploying this into a physical inverter. And for the final question, how would you describe Hardware-in-the-Loop in one word? Hardware-in-the-Loop in one word. I would say, future-looking. Acknowledgement: Sandia National Laboratories is a multi-mission laboratory managed and operated by National Technology and Engineering Solutions of Sandia, LLC., a wholly owned subsidiary of Honeywell International, Inc., for the U.S. Department of Energy's National Nuclear Security Administration under contract DE-NA-0003525.